1 of 3 Bring a large pot of lightly salted water to a boil. Add soba; cook 3 minutes. Drain and rinse in cold water. 2 of 3 Add olive oil to a large skillet over medium-high heat. Pat steak dry and season with 1/4 tsp of the salt and the pepper. Cook 5 minutes per side, until medium-rare (145 degrees ). Let rest 5 minutes, then thinly slice against the grain. 3 of 3 In a large bowl, whisk 1/2 cup water, tahini, lemon juice, harissa, honey, sesame oil and remaining 1/2 tsp salt. 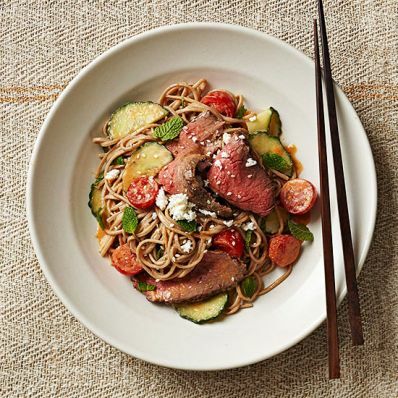 Toss with cooked soba, sliced steak, tomatoes, cucumber, mint and sesame seeds. 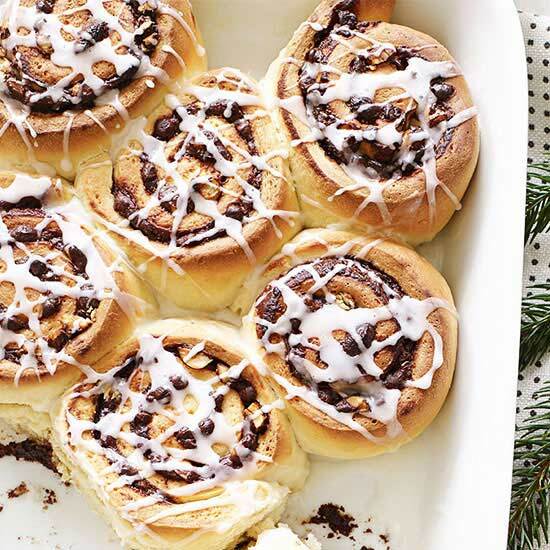 Garnish with crumbled feta, if using. Per Serving: 537 mg sodium, 27 g pro., 3 g fiber, 457 kcal cal., 3 g sat. fat, 25 mg chol., 15 g Fat, total, 55 g carb.